Reed Exhibitions (RX), the world's leading event organizer announces industry veteran best known as co-founder of cult-followed streetwear apparel labels Mecca, Enyce and Parish Nation, Tony Shellman will join the ReedPOP West leadership team. Shellman joins RXUS on the heels of the announcement of Ron Walden leading as Group Vice President overseeing the Fashion & Festival portfolios of ReedPOP West. Shellman will serve as Agenda Vegas Event Director working with ReedPOP West’s Sales and Marketing teams for the Agenda Vegas event. The ReedPOP West team currently produces 6 events, which include Agenda Shows, Agenda Festival, ComplexCon, Pop Sugar Playground and more to be announced. With over thirty years of apparel industry experience, Shellman brings a vast knowledge of brand building, business strategy, with a deep understanding of sales and marketing channels. Most recently serving as RP55 Group’s VP of Marketing, overseeing the brand DNA and direction of notable streetwear brands such as Akoo, Hustle Gang, Playcloths and others. Prior to his time with RP55 Group, Shellman spent over a decade creating innovative marketing and branding opportunities for a number of international lifestyle brands, as well as identifying niche collaborative opportunities in globally-relevant markets. 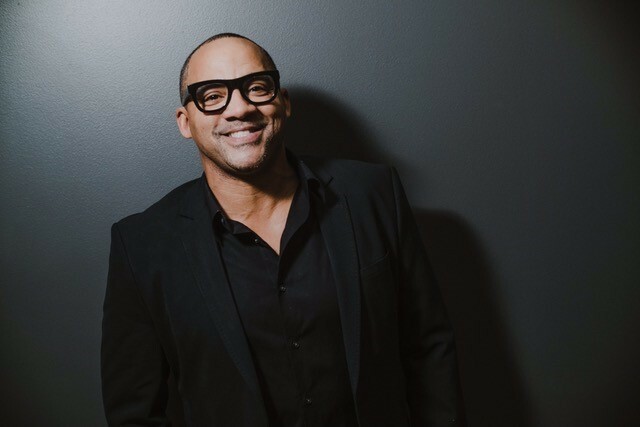 As a spokesperson for Project WE: Guided Kids of Foster Care, he’s developed a mentorship program sharing industry insights and creating career opportunities for the next generation of leaders. Shellman brings his innovative touch and entrepreneurial energy – aligning his relationships with brands, retailers, and sponsors to the Agenda Vegas Show. Shellman will be based in the Reed Exhibitions’ New York office, reporting to Reed Exhibitions’ Group VP of Fashion & Festival Portfolios, Ron Walden. Shellman’s start date is scheduled for July 23rd, 2018.